What is the best way to build credit if you have none? If you do not have a credit score because you have not established credit yet, the good news is that you probably are not haunted by an array of unpaid debt. Here is a quick overview on credit scoring and six simple ways to build and maintain credit. Credit scores are calculated based on several factors, as seen in the table below. A history of not paying debts on time each month will lower scores. Credit lines near their limits, or maxed out, affect credit scores negatively . Too much debt makes it less likely you could pay off additional debt. Not taking on any debt offers creditors limited information, making it difficult to judge credit worthiness. To start building good credit with your credit card, you will need to obtain the card, use it, and make the timely payments. You may have to sign up for a “secured card” to start. A secured card requires you to deposit money (typically around $300) into an account controlled by the credit card company or bank. Your deposit "secures" any debt you place on the card. It is a way for a creditor to take less risk when dealing with someone who has poor credit or no credit. A secured card builds a strong credit score just as well as using any other credit card. Just make sure that your secured card creditor reports to all three credit bureaus on a monthly basis. Make your payments on time, as on-time payments are the No. 1 factor in determining your credit score. Pay your secured card balance in full each month. Your debt balance-to-credit limit ratio is also the No. 2 factor in your score. Secured card limits are low, so it is very important to not carry a running balance to keep your credit utilization low. If you follow these steps, a secured card will help you you will be build good credit. Another way to build credit from scratch can include getting a low-limit retail store card or a gas card. These cards often have looser qualifying requirements than a standard credit card. Be sure to pay the monthly balance in full, to avoid paying interest, as gas and store cards normally have very high interest rates. Review your credit report at least once a year, checking that it contains only accurate information. If the report includes items that are inaccurate, request the report be corrected. You can receive a free copy of your credit report at AnnualCreditReport.com, where you can get one free report from each bureau every 12 months. If you request one bureau at a time every four months, you can check your credit report for free three times a year. Another good way to build credit history is to pay off a small loan. Borrow from your bank or credit union to purchase a used car or a larger purchase, such as an appliance. Some banks and credit unions offer "credit builder" loans. Identity theft can sink a credit rating. Remember that identity theft occurs both “offline,” and through the Internet. Protect yourself from unscrupulous individuals who could go through your trash, steal account numbers online or get personal information through complex “phishing” scams. Record all important financial information and account numbers in a secure place. Shred all documents that contain personal information. Never give out personal information in e-mails or in a phone call you did not initiate. A good way to maintain a healthy financial lifestyle is to create — and stick to — a household budget. Many people harm their credit scores by spending beyond their means, building up debts, and maxing out credit cards. If you are struggling with debt, get a no-cost, no obligation analysis of your options from a pre-screened debt relief provider. Be sure you that know how much is coming in each month. Account for all your fixed expenses (rent/mortgage payments, car payment, loans) and your variable expenses that are “must-buys” (food, gas, medicine). Maintaining a budget is not rocket science, but it takes time and effort. 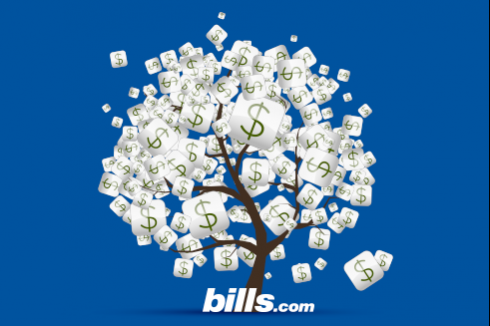 Start by reviewing the free budget guide is available at bills.com. Your job history doesn't effect your credit score, but it is an important part of your credit profile. Lenders look at how long you've been at your current job, when reviewing your loan or credit application. On a mortgage loan application, for example, the lender wants to see two years at the same job. If you changed companies but are doing the same type of work, it should not be a problem. Good luck as you venture forth into the world of credit! I hope that the information I have provided helps you Find. Learn. Save. Good article, but in todays economy, I have to admit, I never assumed credit was so difficult. Recent high school grad, just turned 18, just got my real estate license, had worked minimum wage for a year. Bank with wells fargo, have a checking & savings account, done so for a year. Refuse to offer me credit. Offered a secured card, $300 deposit. If I had $300 sitting in my account, would be looking at credit at 18 years of age. Applyed to many department stores, gas cards, big & small banks, even joined a credit union. All refuse to lend, stating "lack of credit history", yet every card/loan you apply for, is specifically for people with no credit history. Had a credit union ask for a cosigner. It's not even the fact that I don't have one, who, in today's economy, really has good credit??? May lesson a bank's liabilities, destorys the few individuals out there trying to build credit. If the lowest person says no, who is going to say yes...ever? I understand what you mean.In my late 20s I'm finally beginning to build credit.When I was in college I borrowed money but the interest rate was so high I just basically paid it all off and didn't get to establish any credit.I have banking with Chase and they too refused me a credit card until I realized it's best not to apply for a credit card with your own bank.I tried Sears, a gas card etc.I thought about taking out a loan with Chase but didn't care for the interest rate.No one I knew wanted to co sign a loan for an 18 year old.Not even my parents.Nothing, until I found a friend with great credit who has been building up credit since he was 18 cosign a piece of furniture for me, a bed in particular, he financed it under his name and I was also cosigner, he was the primary, we financed it with Wells Fargo Financial and I made it key to make my minimum plus more monthly payments to build me credit worthiness.I could pay off everything if I wanted to but making monthly payments helps show you can keep up with your payments.Finally 5 months after co financing capitol one sent me a credit card offer and it was approved!So this should build my credit even more, not to mention paying rent, electricity etc. I totally understand, building credit should start when we are young or else it would be a pain. Building credit can allow you to many things. I love this site. You can also start paying for stuff using installments or get car loans.